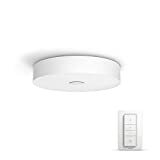 Before Philips there were smart bulbs but Philips hue were one of the first to offer anetworked smart lighting solution. 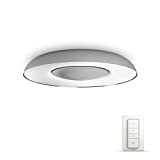 They offer a completely networked smart light solution. Philips hue offer a full suite of smart devices with bulbs, switches and sensors. Most of their kit is controlled via a modem they call a hub. 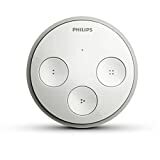 Strictly speaking, you don't need a Philips hue hub but without it your hue system just wouldn't be able to do everything. 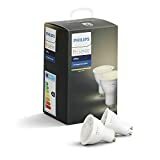 There are plenty of other smart light manufacturers but the Philips hue system is regarded as the best by many people. 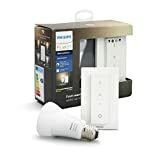 They offer full colour smart bulbs or tuneable white bulbs. Both are fully controllable from an app on Android or OS where you can set the colour, brightness and you can schedule auto on/off times. 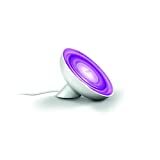 As stated above, you don't always need a hue hub but it will add so much to your system if you do get one. 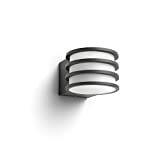 Philips Hue Lucca LED Smart Outdoor Garden Wall Lantern, Aluminium, E27, 9.